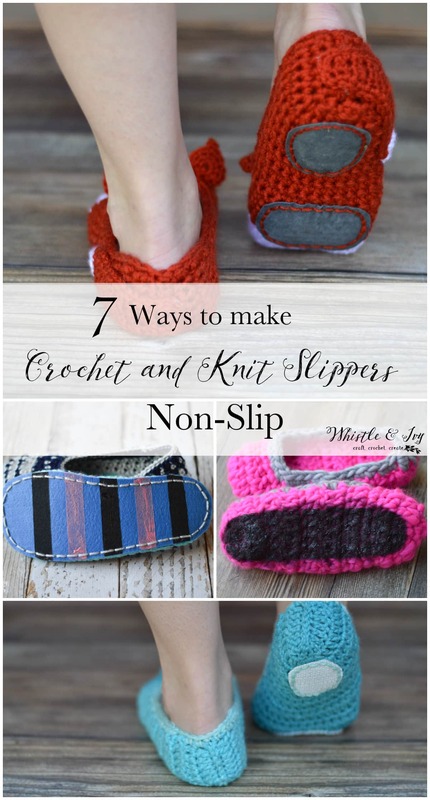 Ever wondered how to make your knit or crochet slippers non-slip? I wondered as well and I decided to put 7 non-slip methods to the test to see which ways were the most effective. Read each item on the list for details about my experiment and see which non-slip method was my favorite! This post contains affiliate links. Click here for more information. Thank you! I get asked a certain question quite often. 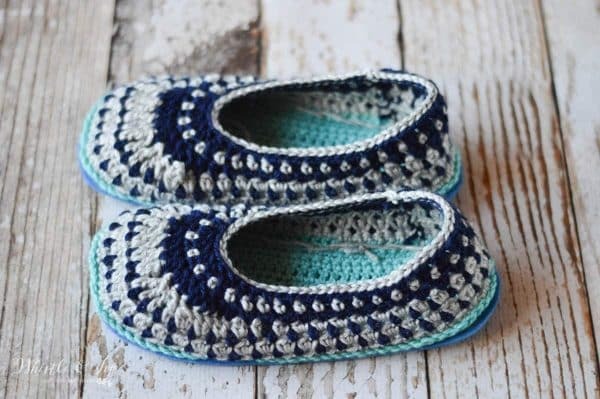 Crocheters reach out wondering how to make their freshly finished crochet slippers non-slip. This is especially important if your slippers are for a seasoned individual or a very young individual. We want to avoid any slips and falls! Unfortunately, until writing this post, I wasn’t really sure. Fortunately, I decided to figure it out! I had heard of a few methods in Facebook comments and while searching on Google, but I hadn’t tried any of them personally, so I felt uncomfortable suggesting something I didn’t have first-hand experience with. I decided it’s time to gather up all the non-slip ideas I could find and put them to the test. This method actually works surprisingly well. Hot glue is something most people have on-hand so it is an easy go-to method. It’s has more gripping power that I expected, as it doesn’t feel super grippy to the touch. 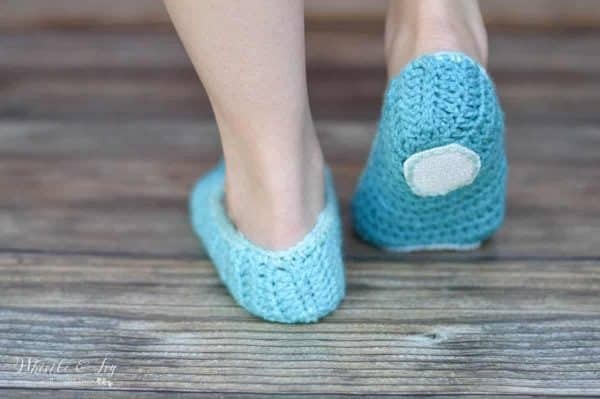 I tried this method on my Quick and Cozy Slippers and was pleasantly surprised. It’s grippy without being SO grippy that you trip when you walk. However, it dries very hard, and might be uncomfortable to walk on if your slipper soles are only one layer. Also, because it’s a soft plastic, I would guess that it would harden and crack over time and need to be reapplied. Puffy paint is another good option that is easy and inexpensive. I put lines of puffy paint on the bottom of my Summer Flip-Flop Slippers. It has a bit more gripping power than hot glue, but it dries softer, so you wouldn’t have the possible discomfort of walking on hard beads of plastic. The only complaint I have is that you need a day to let the paint dry before you can use your slippers. I have only been using mine for a few days, so I can’t say for sure, but I have heard people complain that it peels off and needs to be reapplied frequently. I will update this post as I find out more! I knew this one would work well! One could say that it works “too well” because the gripping power on these babies is intense. I tried out silicone on my Chunky Boat Shoe Slippers. You might be able to tone down the grippiness by applying the silicone much lighter than I did. However, if you apply it thick, it forms almost like a shoe-sole, so you can wear them outside and give them a bit of light wear. You do need to let the silicone dry for 24 hours before using them. To apply the silicone, I simply squirted out a generous amount on the bottom of my slippers, and using a gloved hand, spread it around the sole evenly. Get this silicone on amazon. When I began making this, I didn’t realized the the felt, in and of itself, did not make the slippers non-slip. That being said, I still decided to include it because you can use any of the methods here, and make them work better. For instance, using hot glue on a thick, felt sole would alleviate the con of walking on uncomfortable plastic. 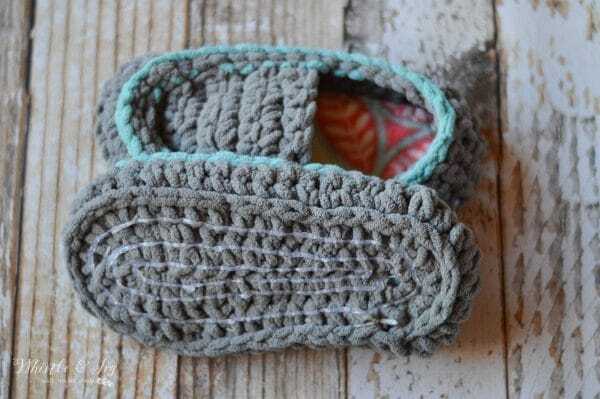 I made the Crochet Galilee Slippers to test out this method and used a tutorial found at Red Handled Scissors. I really enjoyed making this slippers and will be using this felt method in the future. Get the thick felt on Amazon here. I opted to use her exact method so I used Puffy Paint. This was another method that was surprising! 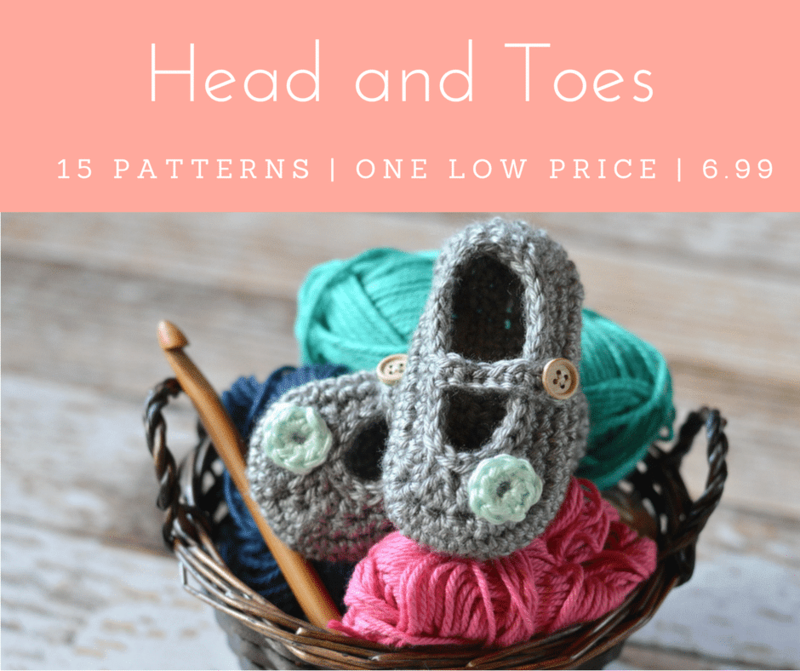 I tested this method using a FREE crochet pattern by Good Knits. The shelf liner is the perfect gripping, and is sewn onto the bottom of the slippers. It’s made to line shelfs on the kitchen, so it’s got a bit of softness to it, which provides added comfort to your finished slippers, especially if they are thin. To add shelf liner to your slippers, simply eyeball two ovals (or use the suede template from #7), one for your heel and one for the ball of your foot. Using this leather punch, punch out holes around the pieces. 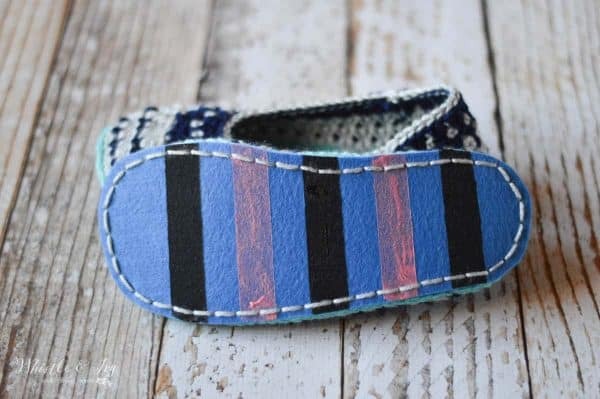 Pin the pieces of shelf liner in place on the slipper and hand-sew them in place with yarn and a darning needle. Plasti-Dip is a specialty air-dry rubber compound that is specifically made to coat objects and make them non-slip. It was an obvious choice to try as a non-slip solution to crochet slippers. I tried this method on my 30 Minute Slippers, and used a tutorial by Tails to Tell Studio. I applied three coats and because my yarn was very fuzzy, I used a popsicle stick to flatten the fuzzy fly-aways. It worked wonderfully! It has THE PERFECT amount of grip, not so much that you trip, but enough that you don’t slip. – Need a few hours to apply 3 coats and let them dry. 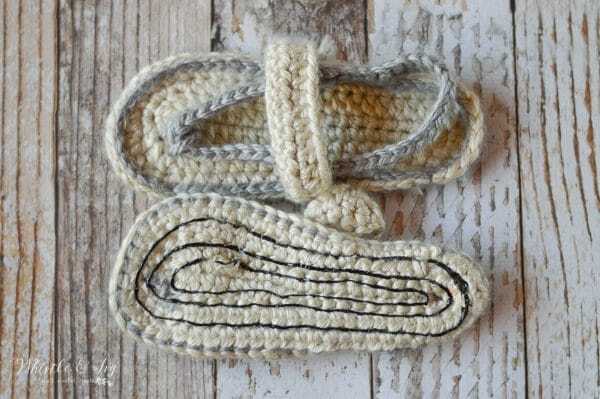 I loved the idea of putting suede on the soles of slippers ever since I saw this slipper tutorial by Make and Do Crew. And similarly, I have been meaning to try these cute Fox Slippers by Mamachee for a long time. It was a match made in heaven. I think this leather method ended up being my most favorite method. It’s the perfect amount of grip, it provides a bit a cushioning on the bottom, and it’s the most durable of all the methods. PLUS, the smell of leather reminds me of my dad (that might be a bonus for just for me, though). I made up this simply template for you to try. Since leather can be a bit pricy, using two separate pieces lets the leather go farther and you can use one sheet for a few pairs of slippers. Then, punch holes around the outsides of the pieces. Pin in place and sew with yarn and a darning needle. I can honestly say that all these methods work. My least favorites would have to be the silicone. It was quite messy, and it’s grip power was too intense. That beings said, it could definitely be used if it’s all you have on hand. I think a fix could be to use small dots instead of coating the entire bottom as I did. Puffy Paint and hot glue were the easiest to apply, but I worry about their longevity. I can’t say from experience, but I have heard in groups that both Puffy Paid and Hot Glue need to be reapplied consistently. Suede, Plasti-Dip and Felt were my top three. Ready to give one of these non-slip methods a try? Which is your favorite? Share your work in our Facebook Community! I too, have been searching for a coating for m y slippers as I make them for my elderly neighbors here in my apartment complex. Thank you for all the comments and answers. Your Blog is great. 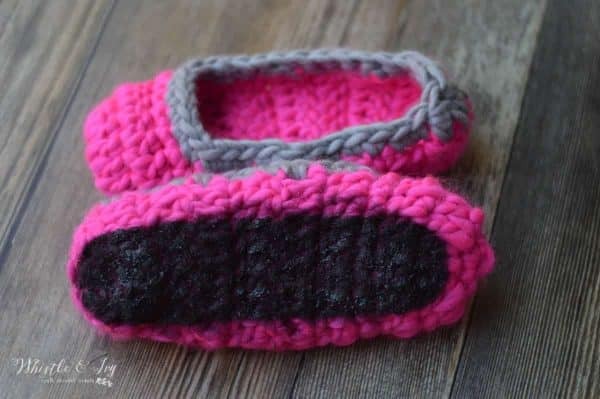 I was wondering if the silicone where it is waterproof would help to make the entire outside of a crocheted baby boots usable for outside wear? Maybe with a sole on of course,yet I wonder,does using the silicone on the boots, would it make the yarn fibers look bad,even if you use a sponge to apply it? I think it may not look very nice. You can give it a try! But it’s very messy and sticky to apply and I have noticed that my slippers overtime have yellowed, so it hasn’t stayed clear. I am interested to see how it works out for you! It would nice to have the slippers wearable for outside. 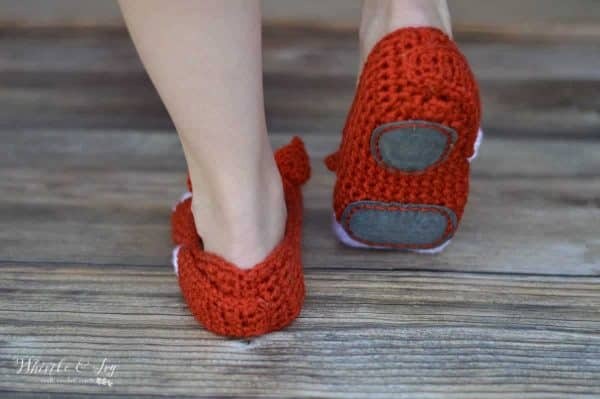 I like the idea of the suede, but if you sew it on as noted in the picture, doesn’t the yarn it is sewn on with eventually wear out the same as the slippers will if they don’t have something on the bottom? Or do you use something different to sew the suede patches on? Hi Sandy! I used yarn and haven’t noticed wear, but I think you are right. Leather cord might be a better idea for that. I use “Fiber-Lok NON-SKID RUG BACKING”. You just paint it on with a brush. 2 THIN coats. It dries CLEAR and is machine washable and dryable. I love this stuff. When it is clear, you know it is dry. Takes about 6-12 hrs. It smells yuck but that goes away once it is dry. It works awesome on rugs too. Great idea!! This is brilliant! You are welcome! I am glad it’s useful to you! This was a great post! I like the suede idea best and will probably pair that solution with the fleece liners to make a very comfortable gift. The great thing about both ideas is that they add significant longevity to the slippers. Every pair I’ve made gets worn out too soon in my opinion, although I’ve tried several yarn types. That’s true, the suede is super durable, and I love the finished look as well. Thank you so much, I am glad this article was helpful to you! I had been thinking of ways to make my slippers non-slip. The shelf liner came to mind, as did the non slip webbing that you can put under rugs. Dollar stores tend to sell rolls of them super cheap. After reading this I started wondering if there was a clear Plastic-dip that way it wouldn’t matter what color yarn you used. Sure enough, there is a clear one! So unless you want to do a contrast color, or match it, you can order a clear one on amazon! I think that will be the way I go. I do have a question for it you though. What do you use to line the inside of the slippers so they are soft to walk on? And so the stitches don’t hurt or feel weird when you walk? 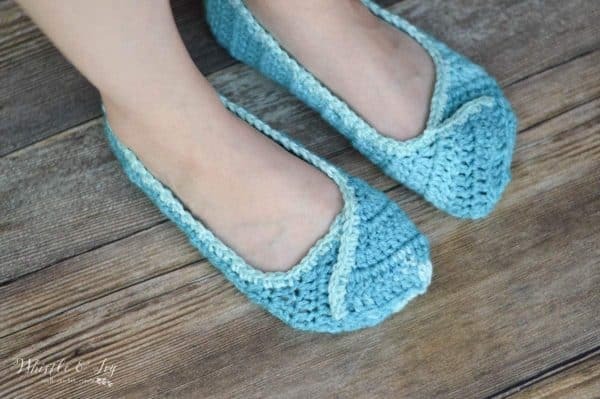 When I was first learning to crochet I made these super cute mary Jane slippers but I could only wear them for a bit cuz of the weave of the yarn would hurt my feet. is plasti dip the same as flex seal ? been thinking about trying that. I quick google search says they are both rubber, so they might be comparable products. I haven’t tried flex seal, but it looks like it would work. Thank you so much for this little tutorial, it is so useful ! Gonna try some of these techniques on my future slippers ! Hi! I crocheted flip flops and I used the silicone caulk method. Unfortunately I don’t like the look of it. Is there any way to change it? If I go over it with puffy paint will that be too much? I don’t know! I don’t think you can remove it, so you might as well give it a try! Is the Plasti Dip machine washable? If so, how does it hold up to repeated washings? yes it is! I have heard that it holds up well, but I haven’t washed my slippers many times, so I can’t say for sure. Thank you for replying! If you washed them once and they didn’t get (bleed) on anything else in the washer with them AND it stayed on, that’s good enough for me. Yes, they don’t bleed and it doesn’t wash off! It’s literally spray on plastic, so it’s a great option! Rubber cement! Just brush it on, let it dry and you’re good to Go! 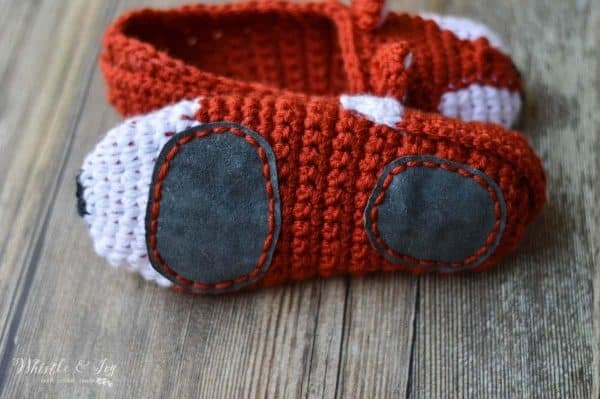 Your baby flip flops were the inspiration to start this granny crocheting. I enjoyed it so much compared with knitting useful items. My family, however, wasn’t enjoying the finished gifts though, because they slid on every surface at home except carpeting. 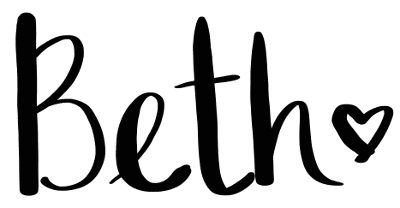 I stopped crocheting and missed the meditative mood and mindfulness it makes in me. With your thoughtful, most complete post though, I believe I am armed to return to the creative, quick and pleasurable patterns that first piqued my interest in crochet! 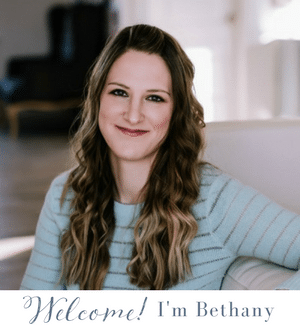 Thank you for making the time to share, Beth. You and your family are inspirational. Yay! Your comment made my day :) So glad you found this useful! I am sorry it took me so long to write this out, seeing as how I have so many slippers and booties! Have a wonderful day! I use Plasti Dip on slippers and rugs. I only apply 2 coats, and it’s always worked fine. In fact, the Plasti Dip lasts longer than the slippers! You can find it at Home Depot, though if you want a specific color you might need to order it online. I like the simplicity, just spray it on! Hi, does the pkasti dip has harmful odour while working? A bit, I would definitely work outside or in a well-ventilated area. It has a slight chemical odor, but I’ve always used it outside because I didn’t want to risk it getting on anything in the house.